The Kayan lamp shade is the result of an inspired collaboration between Plumen and Italian 3D printing design specialist, Formaliz3d. Using 3D modelling and printing, Kayan is specially designed to fit the smaller Plumen models. Its powerful simplicity of soft, sinuous shapes perfectly complements the curved silhouettes of the bulbs. The punctured sides also let the bulb’s unique silhouette shine through whilst keeping the full brightness of the light projected onto surfaces below. 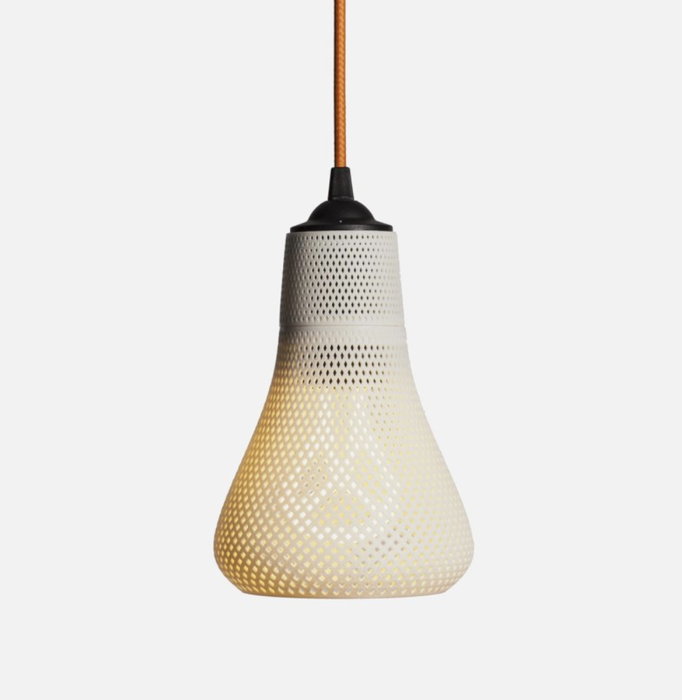 The shade comes included with a Baby Plumen 001 light bulb.